Accommodation Pick Up Service: Due to half day tour time constraints, outer limits for the pick up service we offer on our tours are from Mantra Marina 875 Frankton Road to 260 Fernhill Road and 159 Gorge Road. Any property outside of this Queenstown area unfortunately would not be applicable for pick up/drop off. 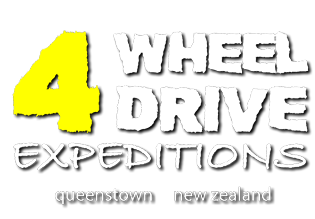 As such we CAN ONLY pick up/drop off from The Hilton/ Kawarau Village, The Ramada, Frankton village, Millbrook, Arthurs Point (Top 10, Nugget Point), Arrowtown etc. on full day tours. Clients happy to meet in Queenstown central can be picked up from the Station building, Cnr Shotover St and Camp St (Please wait outside by the seating on the Camp St side). Children: We do not have a minimum age for passengers. Clients need to provide their own child / booster seats. Soiling of Vehicle: Any soiling of the vehicle beyond reasonable levels gathers a $150 surcharge.